The long-term objective of my research program is to predict and explain functional interactions between host and its associated microbial communities (host-microbiota interactions) and responses to selective pressures exerted by natural environmental changes. Microbiota are substantially involved in a wide range of host functions, including immune defense, metabolism, and reproduction. This close interaction has been suggested to result from a highly coevolved symbiosis and commensalisms influenced by nutrition, physiology and immunological factors. Until recently, the endogenous microbiota of metazoan organisms has been inaccessible to taxonomic census in any reasonable detail. For example, in vitro cultivation, the stalwart of microbiology for the last 200 years frequently failed to detect even the most abundant members of microbial communities. The health implications of the interaction between a host and its associated microbial species are now apparent. In the perspective of conservation and durable exploitation of aquatic species, it is thus crucial to also understand the implications of host-microbiota functional interactions and the influence of the environmental microbial communities in fish populations. With the advent of next generation DNA sequencing technologies, it is now possible to generate datasets of unprecedented size to simultaneously evaluate both the compositional and functional properties of microbial communities. Such technological developments shed new light on the intimate functional relationships between host and their endogenous microbial communities. Our expertise on bacterial community profiling (taxonomy and functions) was applied to quantify the influence of both genetic (host QTLs) and environmental factors (surrounding water, physiological stress) that are at play to modulate the properties of host microbiota in salmonids. Our research team pioneered the development of endogenous probiotics for salmonid aquaculture, specifically selected to counteract opportunistic pathogens. In vivo trial on brook charr (Salvelinus fontinalis) revealed a decrease in mortality up to 85% in tanks treated with our probiotics. By monitoring the whole communities, we are also able to accurately identify where the probiotic counteracts the targeted pathogen, and to assess the innocuity of our probiotic strains on the microbiota homeostasis. Our research team is actually working in partnership with Lallemand Inc., an industrial company specialized in animal and human nutrition. We are working on two animal models: fish (salmonids, perciforms, cichlids) and arthropods (honey bee, sea lice and more recently spruce budworm). In particular, by investigating how host microbiota provides the first immune barrier to its host, we decided to develop endogenous probiotic strains that proved to be very efficient in vivo. An example of the integrated approach we use is identifying to what extent the host genotype is able to recruit specific bacterial strains, those will compose the host endogenous microflora, as exemplified in the Salvelinus and Atlantic salmon microbiota projects. We are currently using next generation sequencing, metagenomics and functional genomics to characterize our host-microbiota models. Applications of our research projects aim to develop sustainable practices in pathogen and pest control in aquaculture, forestry and apiculture. Microbiota : host-microbiota adaptive functional interactions facing ecological constraints (NSERC, Discovery grant, 2014-2019). This research program aims to characterize both taxonomic and functional interactions governing the evolutive trajectory of host-microbiota systems. More particularly we targeted the yellow perch (Perca flavescens) to explore the host-microbiota relationship under a context of recent adaptive evolution due to a chronic exposure with polymetallic contamination gradient. Understanding the involvement of microbiota towards host biology is a priority in medical research (obesity, diabetes, Crohn disease, colorectal cancer), in agronomy (probiotics, immunity, zootechnic traits) or in ecotoxicology (bioindicators, remediation strategies). Gut microbiota ontogenesis in discus fish (Symphysodon aequifasciata ssp) (NSERC, Discovery grant, 2014-2019, NSERC-CREATE). Early promotion of nutrient metabolism and innate immune response depend upon the bacterial species that colonize the digestive tract. It is therefore of primary importance to understand the mechanisms that orchestrate the early steps of colonization of the gastrointestinal tract of fish, leading the buildup of a stable, diversified and resilient endogenous microbial community. BeeProbio: Sustainable strategy optimizing health and productivity for honey bee colonies (AAC, Agri-Innovation program, 2014-2016) PI: Nicolas Derome, co-PI Pierre Giovenazzo. Issue: a poor diet combined with intensive agricultural practices weakens the honeybee immune system and gut microflora, which in turn favor triggering of opportunistic infections. However, actual disease control practices (antibiotics) increase pathogen resistance. Because honeybee gut bacteria play a major function both in terms of nutrition and immune defense, the project objective is to develop a probiotic strategy that aim to prevent and treat opportunistic infections by maintaining or restoring gut microbiota homeostasis. Metacommunity dynamics of the fish surface microbiome in health and disease : pathogens and probiotics (FishProbio), Salmo salar Microbiota Project (NSERC, Discovery grant, 2014-2019, Marie Curie fellowships IOF, 2012-2015). Coll. M Dionne (MDDEFP, QC), D Carvahlo, S Creer (Bangor University, UK), and P McGuinnity (Marine Institute, Burrishoole, Ireland). The objective of this project is to characterize the microbiota of different developmental stage of Salmo salar across its wild and captive range including individuals from marine, estuarine, and freshwater environments. Development of bacterial biomarkers of Salmon microbiota mediated resistance against sea louse Lepeophtherius salmonis, a prerequisite for a sustainable strategy of sea louse control. (ACRDP, NSERC-ENGAGE, 2013-2014 ; Coll. S Leadbeater, MPO et KP Ang, Cooke Aquaculture Inc.). Salmon lice, Lepeophtheirus salmonis, are naturally occurring parasites of salmon in sea water and have a greater economic impact than any other parasite. The present project is the initial step of a long term objective (3-5 years) regarding sea louse control strategies using a highly innovative approach: harnessing skin and gut salmon microbiota mediated protection against parasites and pathogens. 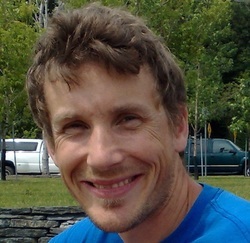 Tambaqui microbiota project (NSERC, Discovery grant, 2014-2019, NSERC -CREATE, FSG-André DARVEAU fellowship, coll. Adalberto VAL, Instituto Nacional de Pesquisas da Amazônia, Manaus, Brazil). The tambaqui is the largest Characidae of South America, and is found in the Amazon River and tributaries. This species is grown in aquaculture because it can live in mineral-poor waters and is very resistant to diseases. The first step of this project is to characterize the impact of low pH exposure on the tambaqui gut microbiota and growth rate. Development of a probiotic strategy to mitigate columnariosis in walleye. (NSERC-ENGAGE, 2014-2015). The goal of this project is to test in vivo the efficiency of endogenous probiotic strains that exhibited in vitro antagonism effects with flavobacterium columnare. Functional characterization of microbial communities exposed to recent environmental perturbations. NSERC Discovery, 2014-2019. The goal of this project is to characterize functional properties of microbial communities exposed to a recent environmental perturbation, in order to identify candidate genes involved in the community adaptation, and to test to which extent a strong selective pressure is able to shift the functional properties of a bacterial community. FishProbio: Efficient and sustaining alternative strategy to prevent and treat two major opportunistic diseases in salmonids, columnaris and furonculosis. SORDAC-MAPAQ, 2013-2015. Coll. S. Charette (IBIS). The goal of this project is to test in vivo the efficiency of endogenous probiotic strains that exhibited in vitro antagonism effects for columnaris and furonculosis causative agents. Development of a diagnostic kit for highly virulent furonculosis causative agent strain from Québec. SORDAC-MAPAQ, 2013-2015. PI: S. Charette (IBIS), coll. N. Derome. The goal of this project is to sequence the whole genome of highly virulent Aeromonas salmonicida strains present in aquaculture industry in Québec in order to develop accurate PCR diagnostic markers. Biomonitoring tool of viral infection prevalence in honey bee colonies (Apis mellifera) under agro environmental context. PCAA-CDAQ, 2012-2014. Coll. M. Chagnon (UdM). The goal of this project is to provide a biomonitoring tool assessing environmental quality, based on the impact exerted by sub-lethal doses of a neonicotinoid pesticide (thiametoxam) on honey bee performance traits. Recent environmental perturbation impacts on the dynamic and structure of microbial community taxonomic diversity. NSERC Discovery, 2008-2013. The goal of this project was to characterize qualitatively and quantitatively the different bacterial species (ribotypes) belonging to the perturbed and reference microbial communities, in order to test whether perturbed microbial communities exhibit less taxonomic groups, and are more homogeneous in terms of species, when compared to reference communities. FishProbio: Efficient and sustaining alternative strategy to prevent and treat a major opportunistic infection in salmonids, the cold disease. NSERC SEP, 2012-2013. Coll. M. Castex (Lallemand Inc.). The goal of this project is to compare the efficiency of a commercial probiotic strain from Lallemand (Bactocell®) with our best endogenous probiotic strain. Genetic and physiological bases of performances for growth rate, reproduction, and opportunistic disease resistance in brook char (Salvelinus fontinalis). NSERC SPS, 2007-2012. PI. L. Bernatchez (IBIS), coll. N Derome and Céline Audet (UQAR). The goal of this project is to optimize genetic marker assisted selection (MAS) for traits of economical interest, and to develop sustainable alternatives for disease control by (i) selecting traits associated to growth rate, delayed sexual maturation, and opportunistic disease resistance, and (ii) gaining an accurate knowledge of the interspecific interactions in the microbial community involved, in order to develop brook char specific probiotics (PI. N Derome). Identication of SNP genetic marker associated to hygienic behavior toward developing GEBV in honey bees (Apis mellifera). PSIA-MAPAQ, 2008-2010. PI. P. Giovenazzo (CRSAD) coll. N. Derome. The goal is to identify both coding and non-coding genes associated to a trait linked to disease resistance: the hygienic behavior. The candidate markers will allow to develop a Genomic Estimator of Breeding Value (GEBV) for honey bees.